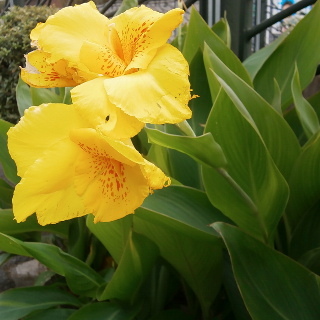 Canna blooms big flower. The leaves are large. The colors are tropical yellow, orange and etc.